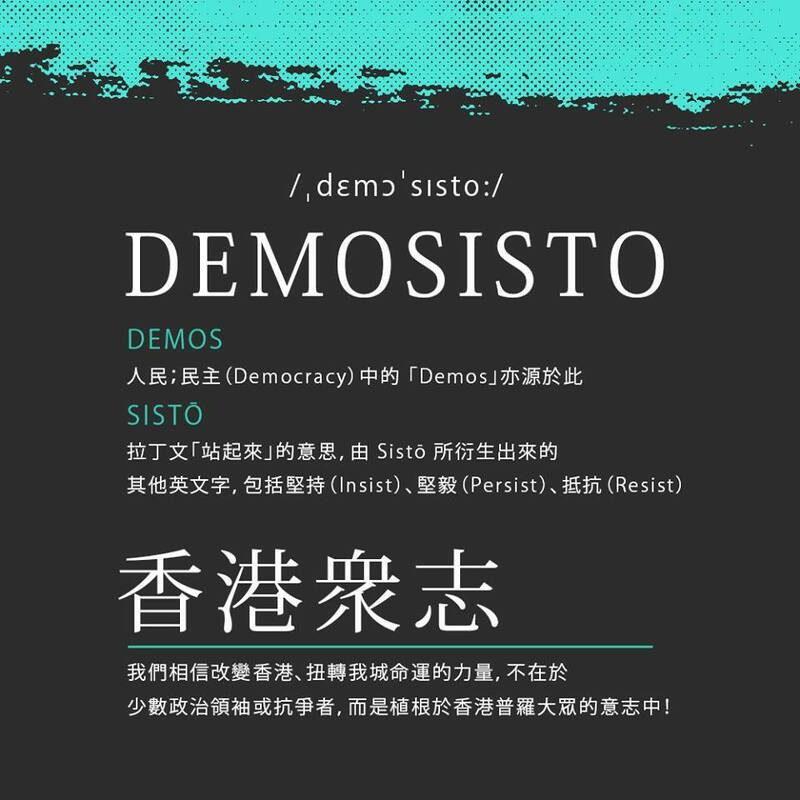 Student activist Joshua Wong’s new political party will be named Demosistō, after his group Scholarism suspended operations. Yet the rather surprising name has drawn questions and parodies. The new party, which will be launched on Sunday, said its name was derived from the Greek word Demos – people – and the Latin word Sisto – stand – and that it will stand with the people to resist suppression. 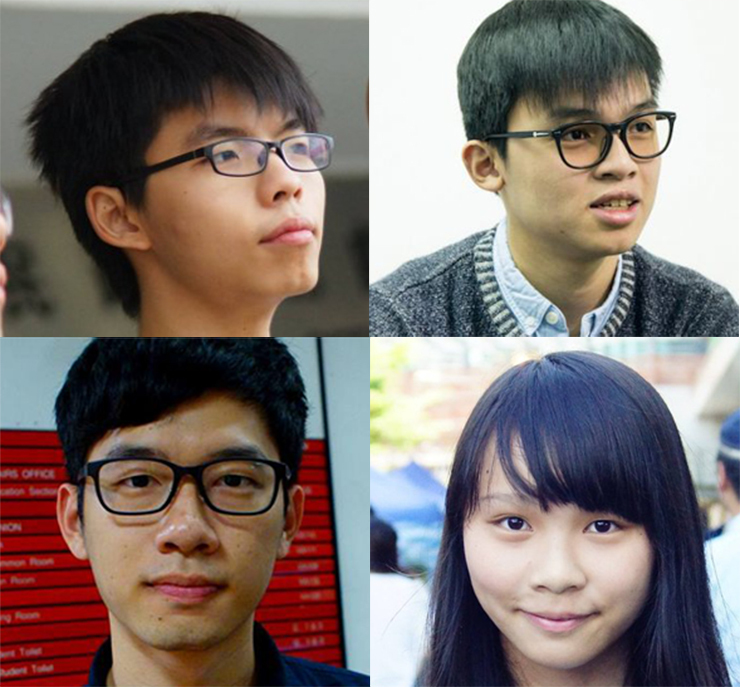 Key well-known members of the party, other than Wong, include Oscar Lai Man-lok and Agnes Chow Ting – formerly of Scholarism – and Nathan Law Kwun-chung – formerly of the Hong Kong Federation of Students. Demosistō’s four core members. File Photo: Stand News. 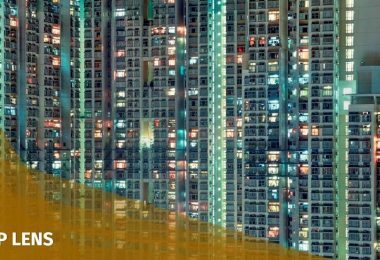 The agenda of the party is unclear, but Wong has previously called for a referendum to decide on Hong Kong’s future after 2047, when the One Country, Two Systems agreement expires. 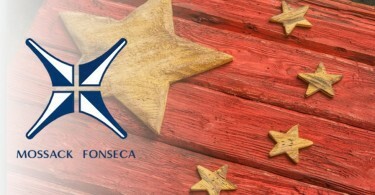 The party is also expected to run in the Legislative Council elections in September. However, the new combination of words in its name may not have given the party a great start. 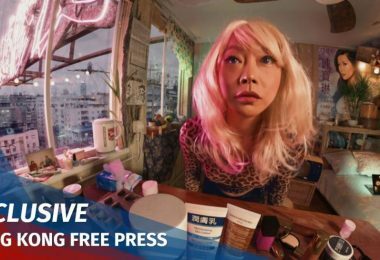 “The name is difficult, it is hard to pronounce, I accept the criticisms, I will reflect on it deeply,” Nathan Law said on his Facebook page after the announcement. Joshua Wong had to send a voice recording to reporters on how to pronounce it. The new party Demosistō. Photo: Nathan Law. Some pointed out that the name may not be grammatically correct, that sisto is a first person singular form of the word, meaning there is only one person standing or resisting. 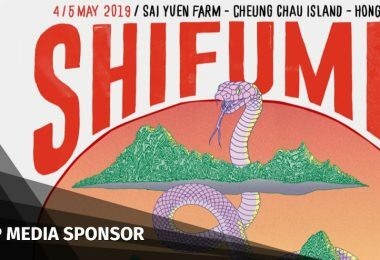 “Demos means people, you should use third person plural form – sistunt – meaning they stand,” a commentator posted on Joshua Wong’s Facebook account. “Common people would not be able to speak and remember the name, no matter how meaningful it is, it seems distant to people,” another said. A poster (left) for its commencing press conference on Sunday. However, that also became a source of parody (right). Photo: Facebook/Demosisto. At least eight Facebook pages using the party’s name were set up after the announcement. 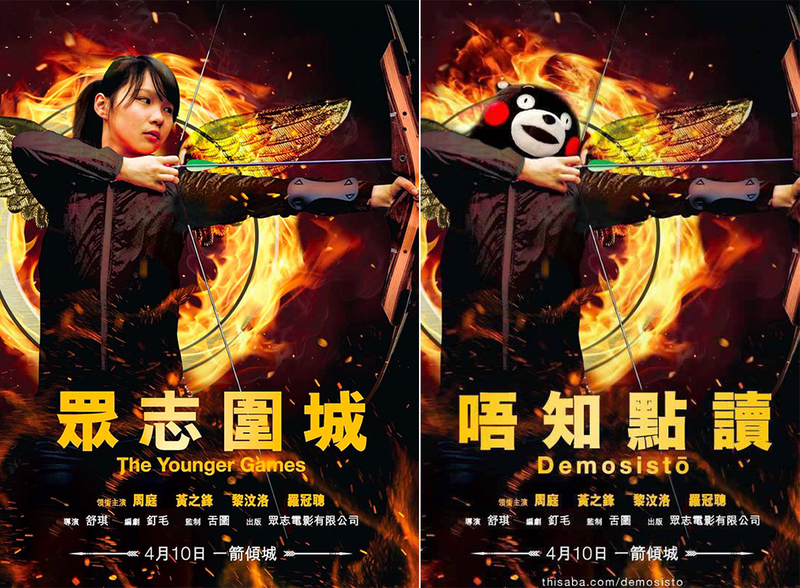 Some even made websites such as demosisto.github.io and demosisto.com with messages to “Gif” – a play on Joshua Wong’s Chinese name Chi-fung. 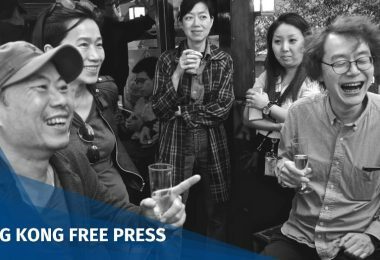 However, the party has not set up any official Facebook page or website, although Wong said they were ready to be rolled out. 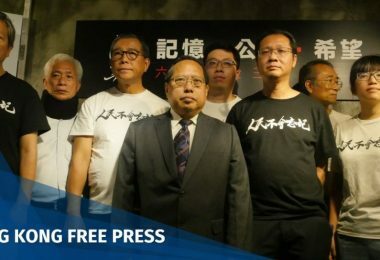 The party also admitted that the group’s Chinese name 香港眾志 – with roughly the same meaning as the English one – was only announced hours after the English name. 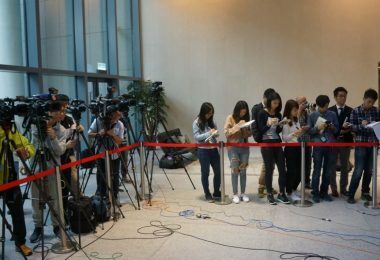 “Some foreign journalists suddenly told us they were coming to Hong Kong, we must respond immediately, we are sorry for the chaos due to the rush,” Law added. A parody by Hong Kong Language Studies. Photo: Facebook/Hong Kong Language Studies. 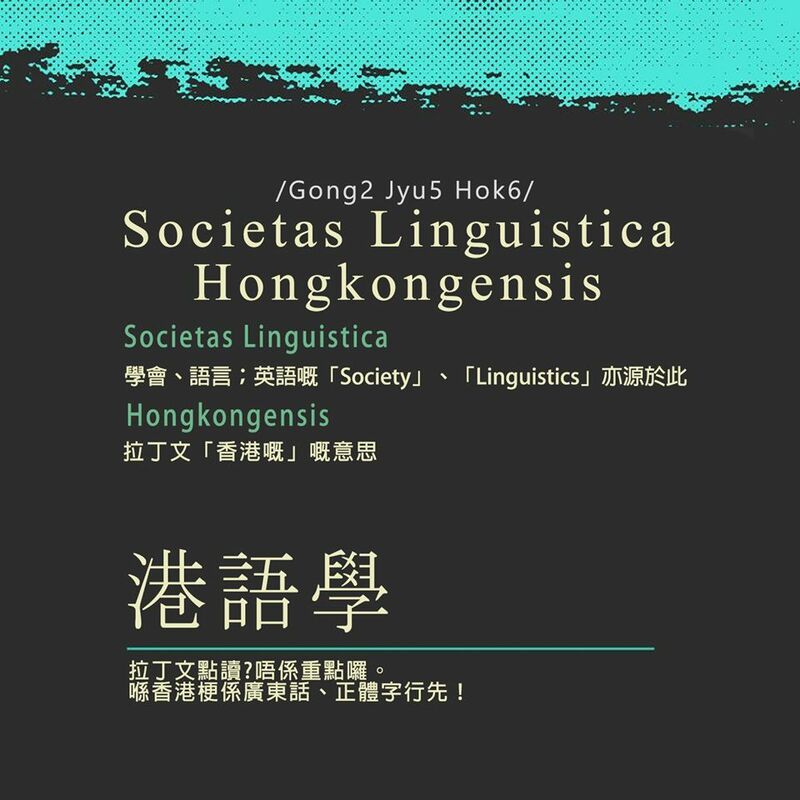 Hong Kong Language Studies, a group promoting Cantonese teaching, translated its name into Latin using the same style of graphic as the new party in response. “But how to pronounce it in Latin is not the main point. In Hong Kong, Cantonese and traditional Chinese characters must come first,” it said on its Facebook page. 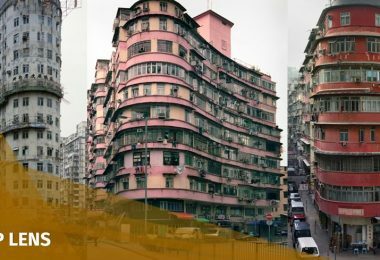 The last two characters of the Chinese name are also the same as Chung Chi Tang, a building at the Chinese University of Hong Kong, where there is a canteen famous for its HK$10 cheap meals. 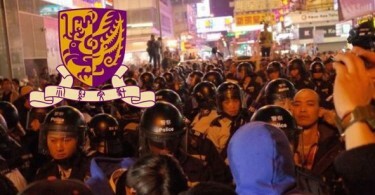 “I didn’t intend to, but my first impression was Chung Chi Tang at CUHK,” Tommy Cheung Sau-yin, a former Scholarism member and CUHK student leader, posted on his Facebook account. 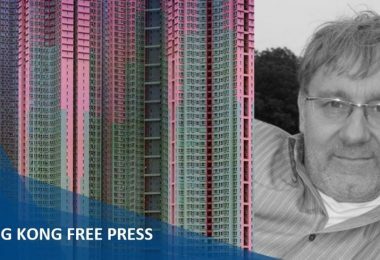 The missing booksellers: if we let this go, will Hong Kong still be Hong Kong?